Low interest rates, foreign investments, an expanding population (therefore an expanding building infrastructure), have all played a major role in investors channelling their money into commercial properties for higher returns. From high-rise office buildings to inner suburb warehouses, commercial properties have shown an upward trend in prices over the past few years. Melbourne, Sydney and Perth have all been high achievers in property wealth management by capitalising on land for commercial use. 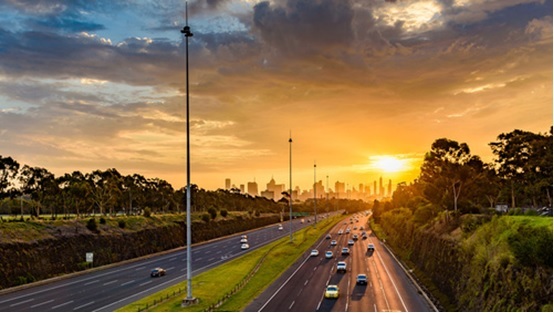 As mentioned in one of our recent blogs, the outer suburbs of Melbourne’s city fringe (or cities such as Parramatta) have seen massive expansion and investment recently. These areas have become even busier than the CBD! In fact, Australia is the second most popular place in the world for investors to establish Asia-Pacific headquarters. Melbourne has long been a desired location for corporate head offices. Now we are also seeing an increase in inner-city suburbs as a very appealing option to attract more capital into the industry. Given all this positivity, how do we reconcile it with the “doom and gloom” depicted by some pundits? For starters, Australia is not the USA. We have much more stringent lending policies and, following the recent Banking Royal Commission, this compliance will only strengthen. Bubble bursts normally occur when there is a rapid increase in property prices coupled with a downward trend in values, usually due to economic impacts like unemployment or oversupply. Although some areas have seen an over-supply, many other areas are undersupplied. Unemployment rates have dropped, further providing a healthier outlook for 2019. With the population increasing in all major cities and their expanding suburbs, residential properties and development projects have grown exponentially. This includes increases in retail high streets. Expectations are for this to keep rising, as they will merge with high-end shopping complexes. This will bring in families seeking better amenities, conveniences and improved entertainment precincts. Major cities like Melbourne are not exposed to bubble bursts in the way a regional town might be affected, such as a town that relies on a mining boom. Most Australian cities have a diverse mix of trades, e-commerce and professional services, making is far less prone to sudden downturns that have been witnessed in regional areas. The increase in population through migration has only added to the diversity of businesses. The Australian Government recently implemented higher stamp duty charges to foreign investments, particularly that of Chinese nationals. The Chinese Government has also put restrictions on how much money can be taken out of the country by its citizens. By avoiding over inflated costs, this will assist home-grown investment and as such keep prices at a more reasonable level and further encourage investment. A slight increase in interest rates may have a slowing-down effect initially, but not the ‘bubble bursting’ impact that many negative commentators have projected. Interest rates have remained low for quite sometime now. As many analysts have noted, even if prices were to drop by a few percentage points in some areas, it is not going to impact the entire Nation. It is easy to look at simple notions such as the reduction of foreign investment, slight interest rate increases and adjustments in the retail sector as all pointing toward doom and gloom. However, when measured against an ever increasing demand for premises, warehouse space, expanded retail zones, improved high street shopping experiences, a tightening of overseas investments, still very low interest rates and low unemployment, the outlook for the year ahead looks much more positive. To discuss these matters and all your commercial investment queries, talk to the experts at HKC Property Consultants. We’re happy to prepare a strategy for your next lease or help you find new premises to invest in. Call now 03 9078 4794.